Does an employee who violates an employer's computer use policy also violate the Computer Fraud and Abuse Act? Depends on who you ask. 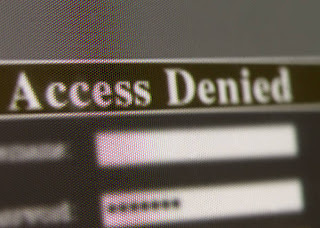 The Fourth Circuit recently held that an employee cannot be held liable under the CFAA for such conduct, even if the employee was improperly using computer access to steal company data. There are a number of circuits that disagree, however. Now, WEC Carolina Energy Solutions, the employer in the Fourth Circuit case, is asking the U.S. Supreme Court to weigh in on the issue. Stayed tuned to see if the Court agrees to get involved. Other news stories this week have examined election-related uses of technology and ways in which President Obama's second term may be influenced by technological changes. One Georgia woman demonstrated that offensive use of social media during the election, even while off-duty, can get a worker fired. Other individuals learned that it may not be the best idea to post a picture of your ballot online, since some state laws expressly prohibit ballot disclosure. Looking ahead, political analysts question how President Obama will handle growing technology issues, such as cybersecurity and spectrum shortages.